ooking to come and experience Florida’s GulfCoast? We are fast becoming North Florida’s Top Waterfront Resort, with top drawer amenities and water activities abound! You can relax and visit many of our areas fine attractions, while dealing with fewer visitors than summer months. Great deals and beautiful weather during our Fall Specials. Arriving anytime between May 1 to May 15, book 2 nights get 1 free. Some restriction apply, not for previously made reservations. Plan Ahead, Book WATERFRONT August 2019 for a monthly rate of $1395 plus electric, based on 2 people. Limited number of sites. Book August 15th-30th daily rate, mention this special and receive 20% off, Monday-Thursday. 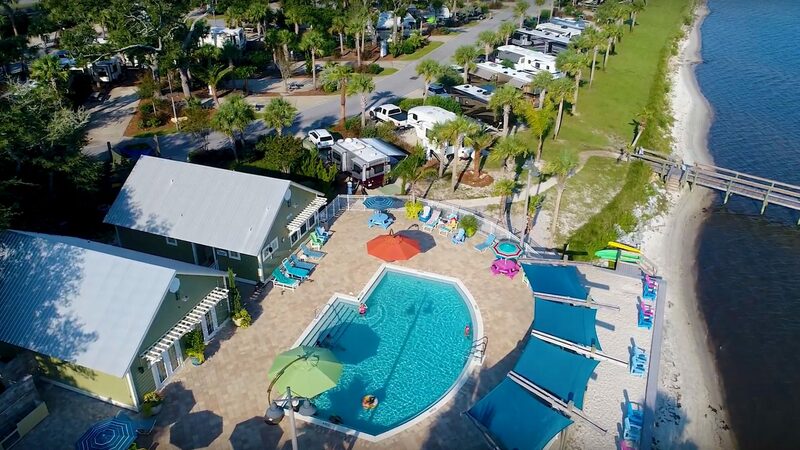 Our Staff can’t wait to see you and welcome you to Santa Rosa RV Resort. Follow us on Facebook to keep up Resort and Local Events and Specials.